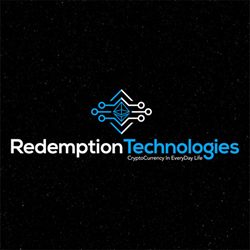 Florida-based Redemption Technologies will launch the revolutionary new cryptocurrency BUZZ tokens through a crowdsale at 1400 GMT September 11th, 2017 which will continue for 30 days. The platform will be integrated with the Android and iOS app PartyLink, a popular free app that points people to hot spots for the best food, drinks, music, and entertainment. “PartyLink is the first of what will be thousands of apps connected to our platform,” said Terry Martine, COO of Redemption Technologies. “We have been building and testing this technology, and people will love the way it works,” he added. Long-range models for projected revenues as well as other details about the sale, buy back, funding allocation, and a list of FAQs are available in the White Paper as well as contact information for Redemption Technology’s leadership.